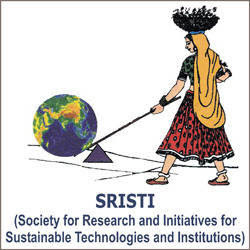 Society for Research and Initiatives for Sustainable Technologies and Institutions (SRISTI) Published Recruitment Notification for Research Associate Posts in Various Funded Projects. Qualification : Candidate should have a PhD in Molecular Biology / Cell Biology / Biotechnology / Biochemistry / Genomics with Minimum Two years Research Experience in Plant DNA Fingerprinting / Barcoding or Post Graduate Degree in above Areas with Relevant Research Experience of Minimum Four years. The Qualifications can be Relaxed in Exceptional cases. Qualification : Candidate should have a PhD in Phyto-Chemistry / Chemistry / Plant Sciences with Minimum Two years Research Experience in Fingerprinting of Herbal Extracts through HPTLC / TLC or Post Graduate Degree in above Areas with Relevant Research Experience of Minimum Four years. The Qualifications can be Relaxed in Exceptional cases. Qualification : Candidate should have a PhD in Food Technology, Dairy Technology, Food & Nutrition with Minimum Two years Research Experience in Food Analysis and Food Products Development or Post Graduate Degree in above Areas with Relevant Research Experience of Minimum Four years. The Qualifications can be Relaxed in Exceptional cases.